As consumerization in payments evolves, banks and billers are reassessing their bill pay service capabilities. Boston, June 14, 2018 – Consumer power is growing, and switching providers is becoming easier than ever in most industries. As a result, bill payment providers are seeking to place more control into their customers’ hands. Against a backdrop of emerging new technologies, can banks and billers not only create new payment experiences for their customers but also improve their front- and back-office capabilities? This report overviews the U.S. bill payment market in terms of how consumers pay and looks at the key drivers and influencers on broader bill payment transformation initiatives. 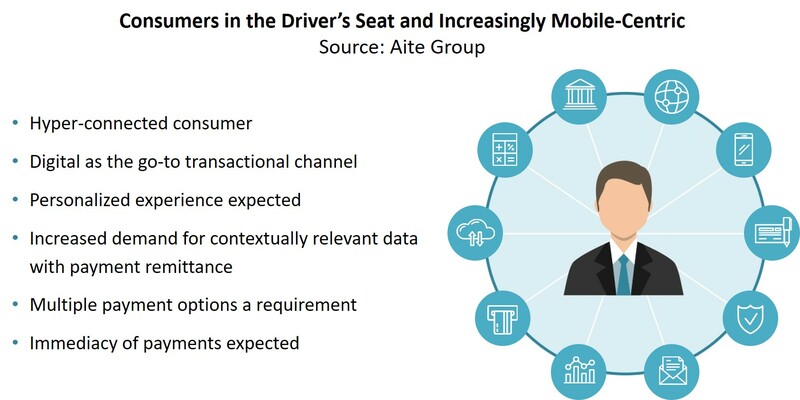 It is based on interviews Aite Group conducted with payment executives from 12 leading organizations from February 2018 to March 2018 as well as data from a Q3 2016 Aite Group survey of 2,429 U.S. consumers. This 20-page Impact Note contains six figures and five tables. Clients of Aite Group’s Retail Banking & Payments or Wholesale Banking & Payments service can download this report, the corresponding charts, and the Executive Impact Deck. This report mentions NACHA, The Clearing House, and Zelle.